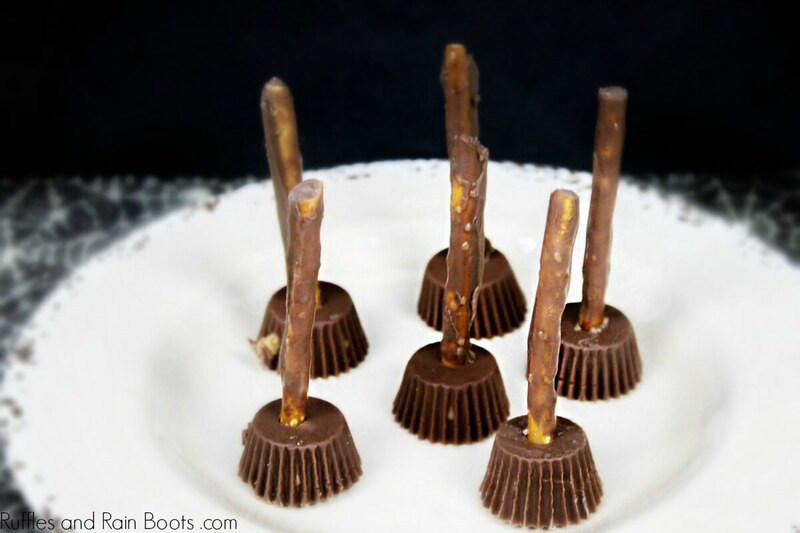 These Harry Potter Nimbus 2000 broomsticks are so much fun to make and even more fun to eat! And you only need 10 minutes to make them. 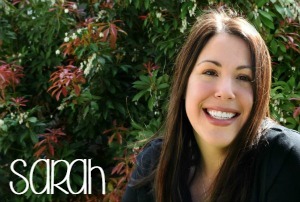 We love setting up themed family movie nights with crafts and food. For our Harry Potter movie night, we started with Sorting Hat Bookmarks, moved onto the healthy(ish) caramel popcorn, and ended with these Nimbus 2000 brooms. 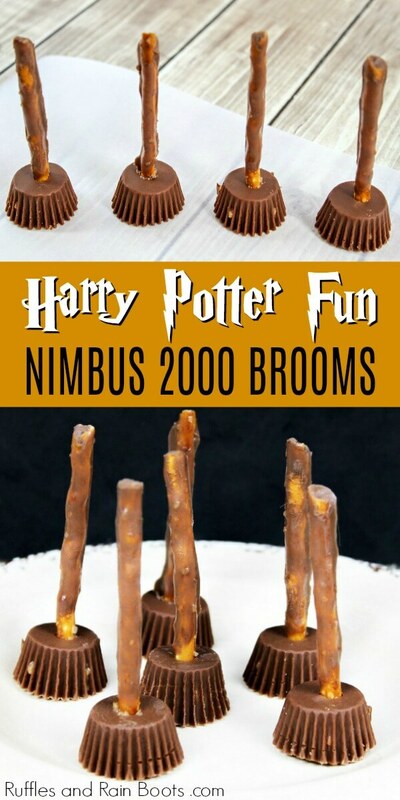 There are so many movies and we have TONS of ideas for more Harry Potter movie night fun. We might make these golden snitch cake pops soon because they’re just too fun! These are so easy and you only need a couple of ingredients to whip them up. 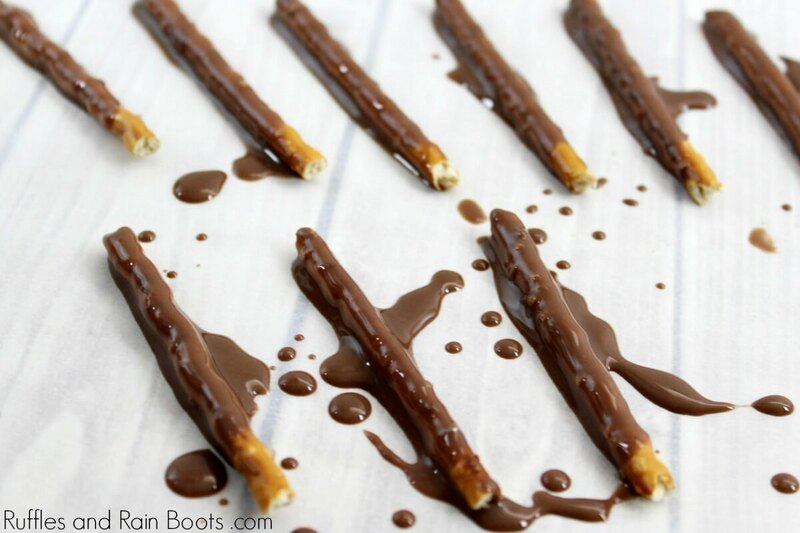 Dip a pretzel stick in the chocolate and set aside to dry. Place a mini cup upside down. Press the end of a chocolate-covered pretzel into the bottom of the Reese’s Peanut Butter cups and enjoy! Place a mini cup upside down. 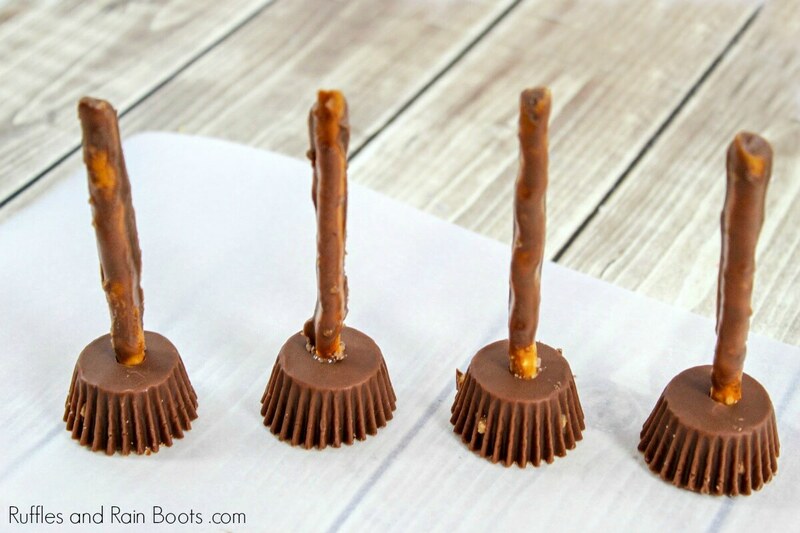 Press the end of a chocolate-covered pretzel into the bottom of the Reese's Peanut Butter cups and enjoy! 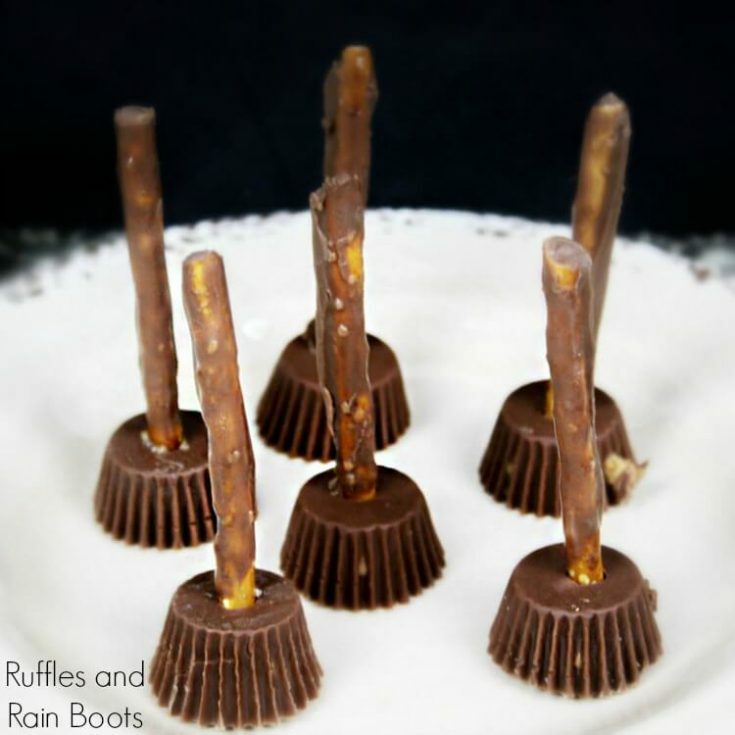 What are your favorite Harry Potter food ideas? Our caramel popcorn was gone in a flash during our first Harry Potter movie night.